L to r: Hon. Rob Stokes, MP for Pittwater Cr. Jacqueline Townsend, Mayor of Pittwater, Howard Glenn from the NSW Roads and Maritime Services (RMS), Cr. Kylie Ferguson, Deputy-Mayor of Pittwater, Mark Ferguson, General Manager of Pittwater Council. Member for Pittwater Rob Stokes today officially opened the new Palm Beach Ferry Wharf and announced a further $1.4 million for boating infrastructure projects throughout Pittwater. 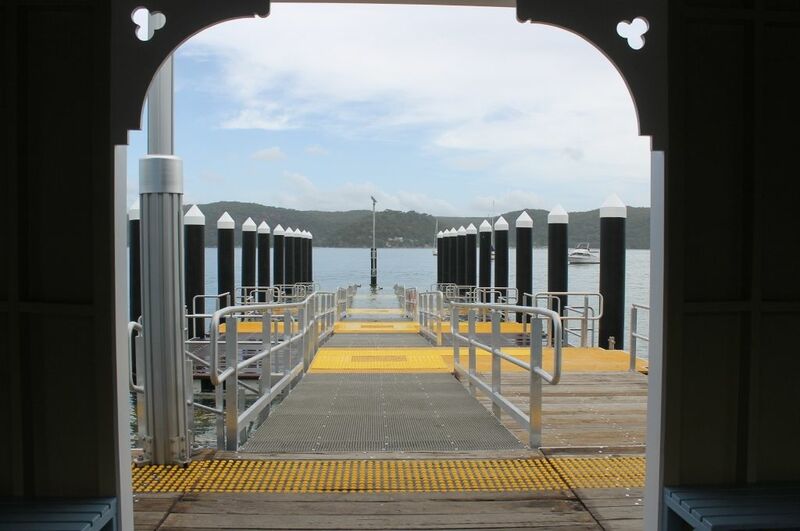 The Palm Beach Ferry Wharf is one of Pittwater’s key commuter hubs and provides a vital link between the Central Coast and western foreshore communities. 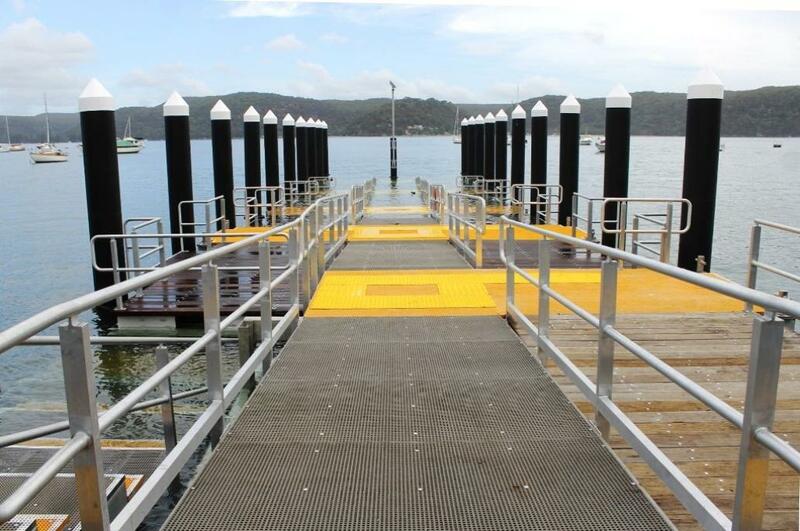 The NSW Government provided Pittwater Council with $1.5 million for the project which has extended the wharf and seen it become more accessible for larger vessels and disabled and elderly commuters. 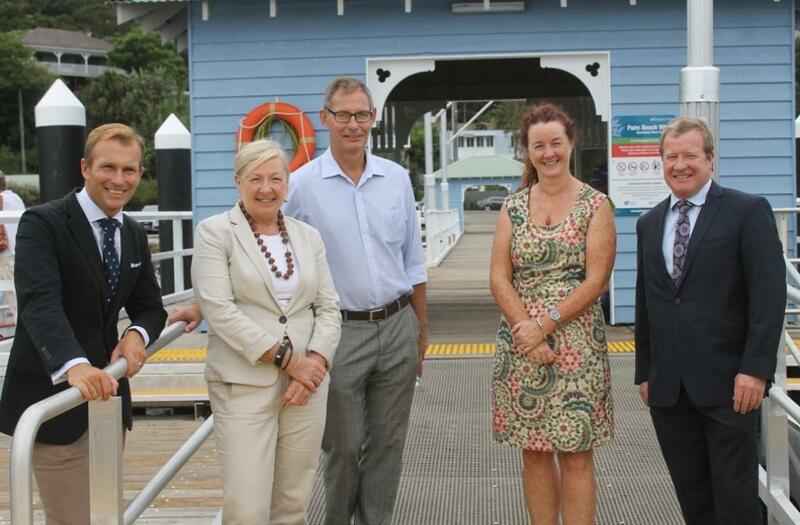 “The Palm Beach Wharf has been transformed into a modern and fully accessible transport hub,” Rob Stokes said today. “The former wharf served our community well but simply couldn’t handle increasing commuter numbers and larger vessels. “Our community is heavily dependent on the operation of our local boating infrastructure so extra funds are really important. “Rowland Reserve’s ageing boat ramps have become victims of their own popularity and improvements are certainly needed. “These projects will help broaden boating opportunities for local residents and make access to our waterways as safe and convenient as possible. “I’m delighted the State Government is continuing to partner with Pittwater Council to deliver vital infrastructure improvements throughout our community,” Rob Stokes said. 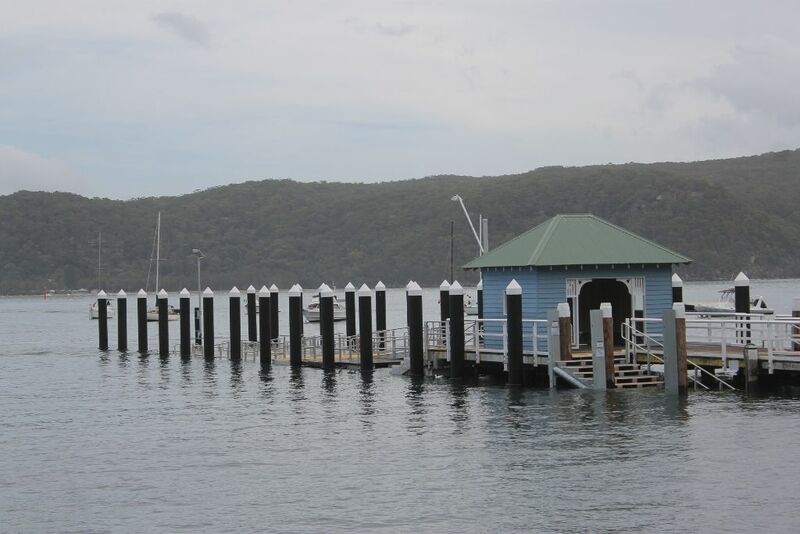 Pittwater’s water-side recreational facilities are about to get a boost, thanks to a $1.4 million injection from the State Government. The funding for boating infrastructure, announced earlier today at the official Palm Beach Wharf opening, will see major improvements to Church Point commuter wharf; Rowland Reserve’s boating launch facilities, Paradise Beach Clareville dinghy storage and Bayview Wharf. Pittwater Mayor, Jacqui Townsend said that Council is very pleased that the State Government has responded to its advocacy for better water-side facilities. “It’s great to be partnering with the State Government in delivering better facilities that will benefit the many recreational users that both live in and visit the area,” Cr Townsend said. “Our boating facilities are integral to the lifestyle in Pittwater with many residents relying on them on a daily basis,’ she said. “We look forward to working with both the State Government and the locals to make these projects happen. “Wear and tear and the changing needs of our growing community all come at a high cost, and I’m thrilled that we can share the financial burden to upkeep these facilities with the state, avoiding Council having to pass on all the cost to our community through its rates,” she added. There were real safety concerns with the existing wharf structure. It will improve boarding eﬃciency and travel times and will improve commuter experience and safety. 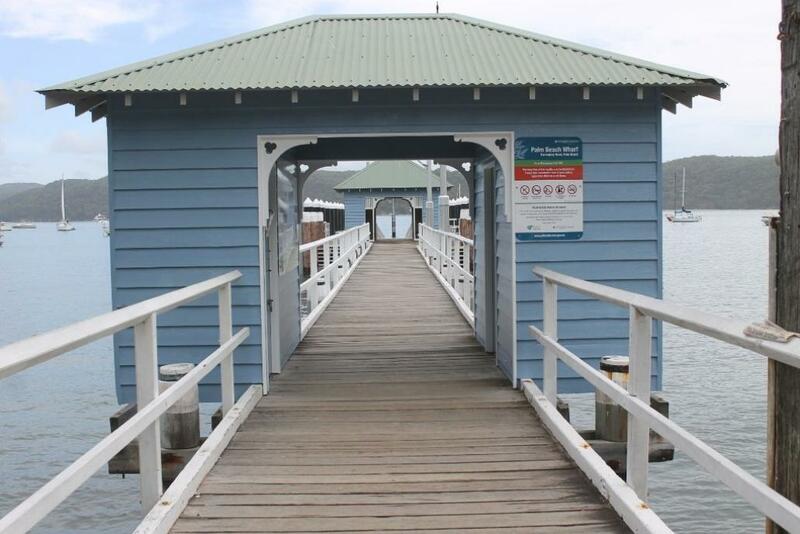 It provides a wharf that is accessible to people with a disability. The NSW Government contributed $1.5 million to the project - the remainder was funded by Council’s capital works budget. Disabled access: The new wharf is required by law to be accessible to people with a disability. Sea level rise: The wharf has been designed for future sea level rise from projected climate change. Design decision to retain the historic shelter sheds, notwithstanding that neither these features or the wharf have any formal heritage listing. 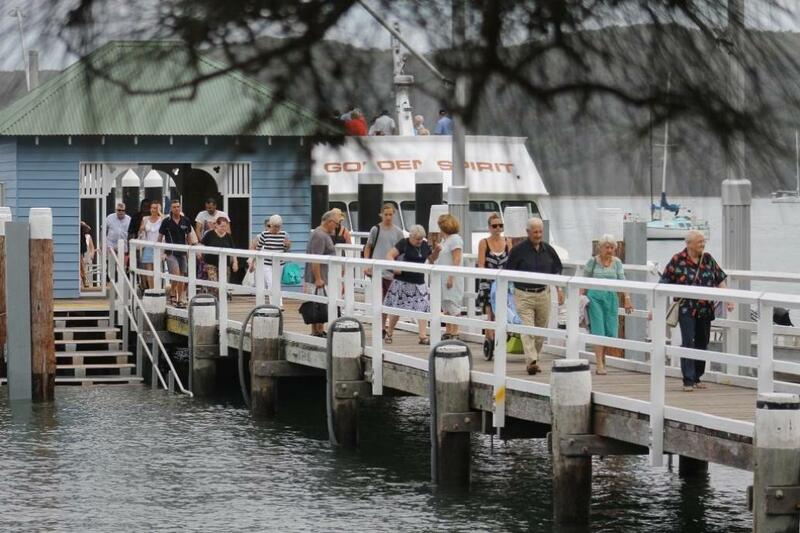 In summary, the existing ferry wharf was upgraded and converted to a stepped wharf with ramps. 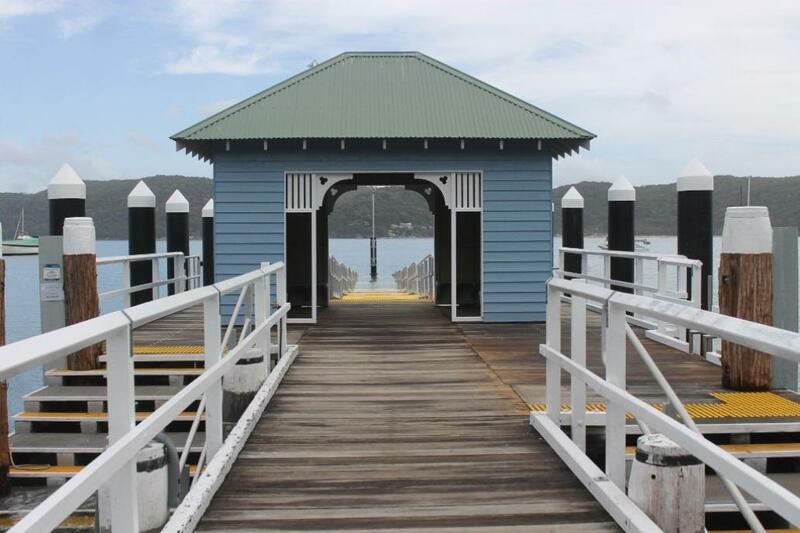 The wharf was extended to approximately 18m further into Pittwater at its western end. The proposal involved the demolition and re-construction of about 33m of the length of the existing wharf. Retention of the landward section of the existing Wharf, where the water depth is less and the lack of ferry or wave impact has meant that deterioration of the structure is considerably less. Retention of the traditional shelter shed near the land edge due in part to the strong visual imagery that it imparts to the Wharf. This will include replacing the existing damaged outer end of the wharf. Rebuilding of the outer end of the Wharf in a more eﬃcient format, to upgrade its operational efficiency and capacity for ferry passengers, recreational boating and dinghy mooring. Relocation of the outer shelter shed to towards the centre of the Wharf where it can service a greater number of embarking passengers. The new structure has steel piles that are sheathed with protective rubber and finished with a white conical capping. Provision for accessible ramps along the new section of the wharf. The ramps are wider than the existing wharf, to ease congestion when passengers are arriving and departing the wharf. 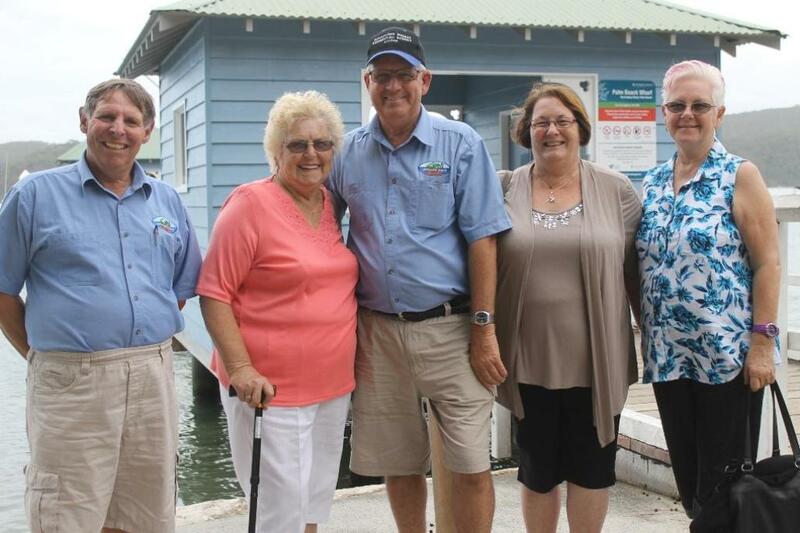 L to r: William Van DerMey, Sabra Hockey Owen and Patricia Hockey and Carol Cusack - visitors from Budgewoi and the South Coast on an outing for the day to Palm Beach - part of a party of 26 visitors lunching at Club Palm Beach. Jacinta from Club Palm Beach - the club offers transport for those wanting or needing this. You can also stroll to Club Palm Beach - a level walk of 500 metres. Club Palm Beach (RSL) has indoor and courtyard dining facilities and entertainment. Above: Some of the features of the upgrades to Palm Beach Wharf.